This classic Champagne cocktail is an elegant way to ring in the new year! 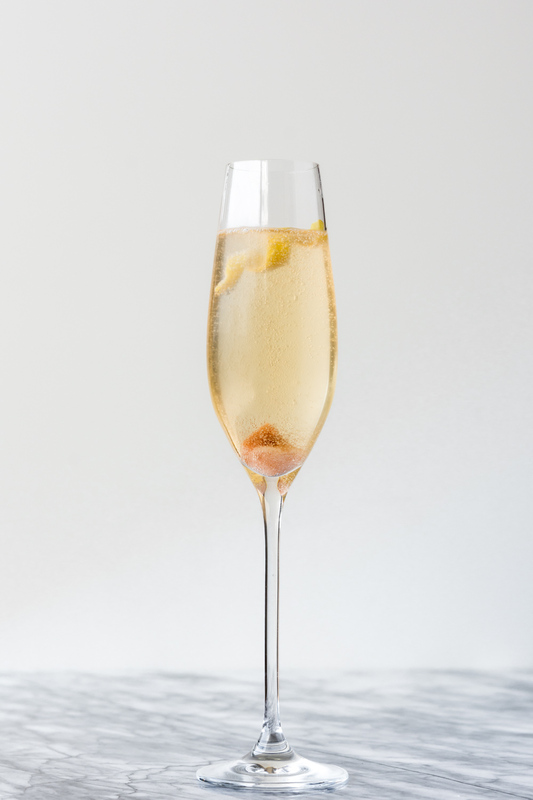 The spiced bitters, touch of sweetness and fragrant lemon zest elevate your standard glass of bubbly. Historically this cocktail has been made with Champagne, but I prefer to use traditional method sparkling wines from elsewhere in the world— we’re mixing it with sugar, after all! We don’t need to drop $60 a bottle for it. Cava from Spain, Cremants from all around France, Franciacorta from Italy, or a new world wine that says “traditional method” will give you a sparkling wine with comparable qualities. These wines will have delicate bubbles and toasty, yeasty aromas that are beautifully complemented by the fresh lemon and aromatic bitters. And they’re so much more affordable than Champagne, you can have two toasts this New Years Eve! Coat sugar cube with bitters on all sides and place in Champagne flute. Fill glass with sparkling wine and garnish with lemon twist. Repeat with remaining 3 glasses.